Now this varies, some are dirt cheap. Two pound a night for a dorm in Dehli. While others are more pricy. Thirty pounds a night for a private three bed in Warsaw. Obviously, these are completely different destinations in different continents. These makes a different to the price you'll pay. Another factor is the type of room, a twelve bed dorm room is going to be way cheaper than a private room. Having said that sometimes a larger room is not always the cheapest. When I was looking to stay in Salzburg the hostels were quite pricey, one hostel was charging the same for a twelve bed dorm as another was for a six bed! So definitely shop around. If you get a good hostel you may make friends for life. They'll be people you don't click with but they'll be people you do click with. You may even join your new friends on their travels or they may join you on your trip. You don't really experience this in hotels, hostels are definitely a lot more social. A lot of hostels offer discounts for nearby restaurants or bars. This is another great way to save a bit of money. Other hostels will have their own restaurant and/or bar which are usually very reasonably priced too. Or if you really want to save some money you can make your own dinner in the hostel kitchen, quite a few hostels have dinner nights were people in the hostel can cook together, this means you can save money and make new friends! Hostels are noisy. Some more than others. There's no escaping this fact. 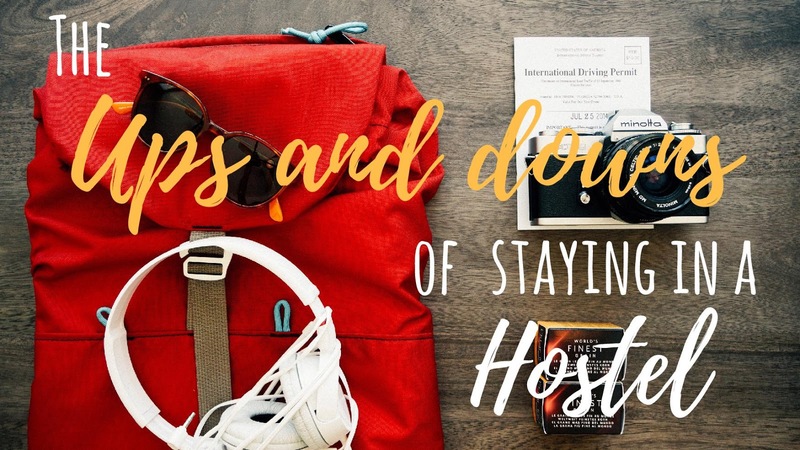 Unless you manage to stay in one of the very few hostels that are actually quiet. However, if they're quiet then there's less people there and less friends to be made. Sometimes I don't mind this though. Sometimes I'm not bothered about meeting new people and am just happy to have some quiet. I like my personal space and this is something that is lacking in a hostel. This does depend on the type of room you have and the size of the room. Some hostels are better than others. I've been in 4 bed dorms that are nice and spacious but also had eight bed dorms where there's been hardly anywhere to put your rucksack! Most hostels have at least one baby elephant. The chance of them being in your room rises with the number of people you're sharing a dorm with. They'll be that person who wanders around like they're the only one in the room. Gets in late and bumps around for a good 20 minutes. Or the one that decides to pack at 12am and won't stop rustling their plastic bags. Or the one who sets an alarm for 6am but doesn't get up for another two hours. I like to think that I'm quite a good roomie. We all have to make some noise but I avoid being noisy in the evening and if I get up early I try and tip toe around. Yes, I still do pack my things in the morning because I couldn't be bothered the day before or was too busy but I do it as quickly and quietly as possible. Some noise can't be helped but when people are thumping around at 6am . .